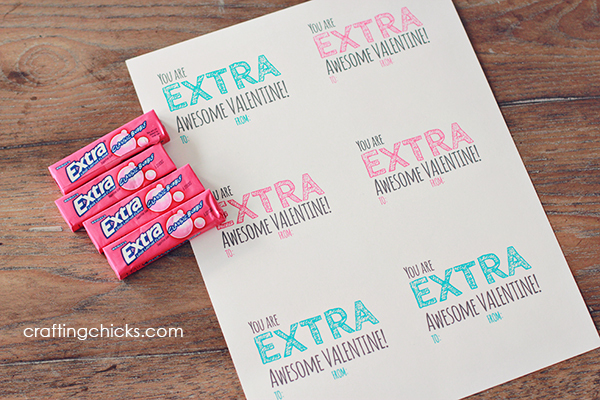 Sharing a free valentine printable today! 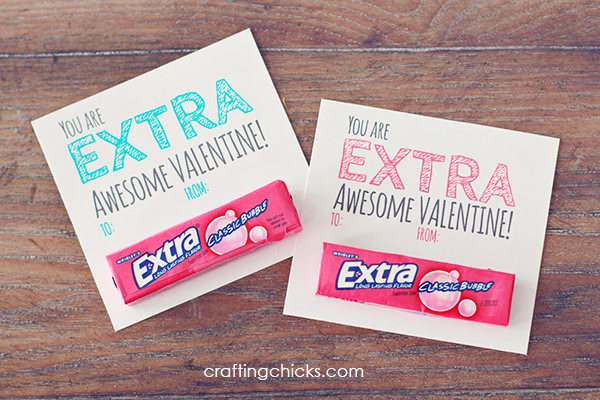 Grab some mini packages of extra gum and add it to my printable that says.. You are EXTRA Awesome Valentine! 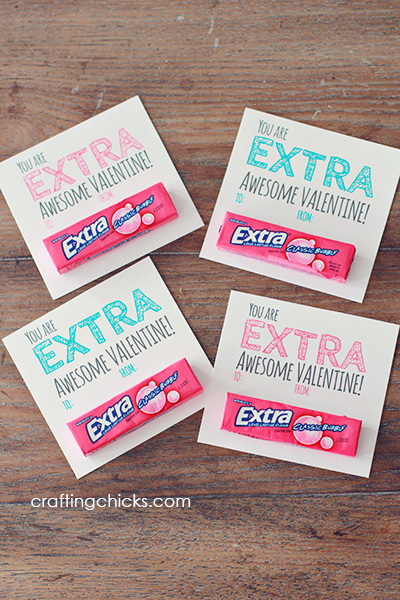 I just used double sided tape to affix the gum to the valentine. Looking for more fun Valentine ideas? In charge of class parties? Be sure to check out our Valentine Party Pack! This so extra awesome, I had to share it on my Facebook page! Love it! Christa have you unzipped the file? Just right click on it and choose unzip from the options. You should be able to open it after that. Thanks! Where did you find the mini packages of Extra gum? So cute! Will be making these for my Sunday School kids. We’re going to do this for our Valentine’s!! Thanks so much!! I can’t find the small packages of Extra gum. I can only find the larger packs. 🙁 Any suggestions on where to look? Dollar tree has 4 for $1. That’s where I got mine. Im trying to download it on my tablet to send to wireless printer and it won’t download, any suggestions? I downloaded it, but it said I couldn’t print it. Do you know why? You need to unzip the file. Just right click on it and choose unzip and then you should be all set. is Extract an option? That is what you want if unzip isn’t and option. I’m having the same problem as Amy, haveiunzipped but over the jpg is opened printing is a highlighted option…please help, I too have bought the supplies….tia! Tracey–I’m not sure. I just tried to download it and it worked great for me. Nikkala just wrote a post today about how to work with printables. Go here: https://thecraftingchicks.com/2014/02/tips-for-printable-success.html and see if reading over that will help at all. I love these Valentines. My girls are going to use them. Thank you for the free download – you are much appreciated! I agree with many other comments! Unfortunately, this document is a pain to reach and print. This is frustrating and very disappointing. I highly recommend you begin saving your products as pdf. This will make it much easier for the users. I’m sorry you are having a hard time Serena. Many of our readers prefer jpg files for the ease of uploading and having the files printed through a photo lab. You may find this post helpful https://thecraftingchicks.com/2014/02/tips-for-printable-success.html. Thank you so much! I printed with ease and had no problems! I am having trouble finding the small packs of gum and am going to look at Dollar Tree tomorrow! Thanks so much!! Love this printable!! Thank you so much!! I hope my co-workers enjoy these as much as I do!!! I finally went to file and clicked on extract all to get it to work. My girls are so excited!!! Thanks! My fourth grader is excited to give these as her Valentine this year. I’m happy to be giving gum instead of candy 🙂 We found the small packs of Extra at the Dollar Tree, too! Print out worked well for me. Woot Woot! Thank YOU! My nine year old is so excited to hand these out. Many thanks for this extra cute Valentine!! I also bought gum at Dollar Tree, but in the past have seen the small packs at Wal-mart hanging in the candy section. Love these. My daughter is planning on using them. Adorable. Thank you. Thanks for the great valentine idea! Very cute! Thanks for sharing the printable. Thank you so much for sharing this! Very Cute! Very cute idea, but very hard to download to print. I wasn’t able to download. I just wanted to quickly write to thank you for this printable! I had my 2-year-old use the blue ones to give to his 2 grandpa’s on Valentine’s Day 🙂 They turned out super cute! 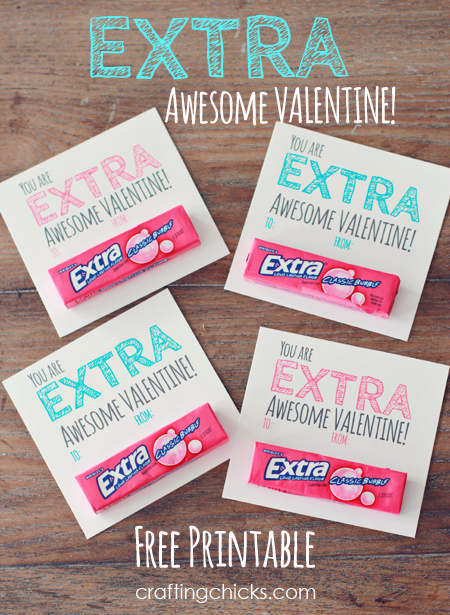 hi – these are so cute and all four of my kids like them (that is: only one Valentine’s craft, instead of up to four). The link seems to be disabled. Would you be able to repost? Hi – I love this idea, and want to use it for my kiddo’s this year. Could you please repost the link to the printable, or send it to me in email? I love these valentines but can’t seem to find the link to the printable. is it still available? Can you re-post or send to me? Thanks! Would you mind sharing what font the to and from are? I want to edit them using the same font with my child’s name and her classmates. This is so cute and perfect for a 3rd grader that didn’t want anything to “babyish”. I love these, absolutely adorable! 🙂 I included them in a roundup of our favorite classroom valentines for this year. Thanks for sharing! I too, couldn’t figure out how to print but I got it! and Windows will walk you through the process from there! Also, I’m suing this to send to the pool of secretaries that work in our schools. I think they are often overlooked on holidays. And I appreciate all the “extra” they do! I too am attempting to print from an iPad with no success, any suggestions? when I click the download now button, it says “sorry but we can’t preview zip files” Then it says to download below, I click again and it isn’t downloading anything. Is there another way to access this file? I’ve read through the help website posted above and nothing. I cannot download. Mac user here. Any suggestions? This is so cute! Is the download working properly? I get directed to the download page, but nothing happens when I click Download. I will try restarting my computer later, but figured I should ask in case anyone else is having trouble getting the download. Thanks-cute printable, my second grader loves it! I can’t get it to work either and both my girls would love to pass these out — such a cute printable! Any help would be appreciated! Hi! I can’t seem to download it properly. I can print it, but it is way too big for the sheet. 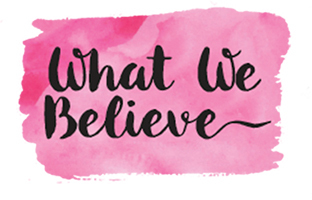 Thank you so much for sharing this great printable! My 4th grader is so excited to use this as his valentine this year! I found this cute idea and want to print the tags but I too am not able to. Any suggestions. It doesn’t give me an option to download or extract. These are too cute and I really want to use this this Valentine’s. My 11 year old daughter is so excited to use these for her class. Thank you so much! They are adorable! I love the extra bubble gum Valentine’s Day card idea. I can’t wait to make them! Is anyone else seeing that the blue To/From words are getting cut off at the bottom of the letters? The pink ones look fine. We too have tried everything and have read all the above comments and are unable to download and print. Any way you can send a PDF version to my e-mail. It is super cute and we would so love to use it, if we can get it to download! 🙂 Thanks! When you click on the download link you’ll need to then right click on the image to save it to your desktop and print from there. I loved this printable. Then I couldn’t find the small packs of Extra gum. The larger packs are a little too expensive for my budget. Back to the drawing board. This is such a cute idea! we are loving it. 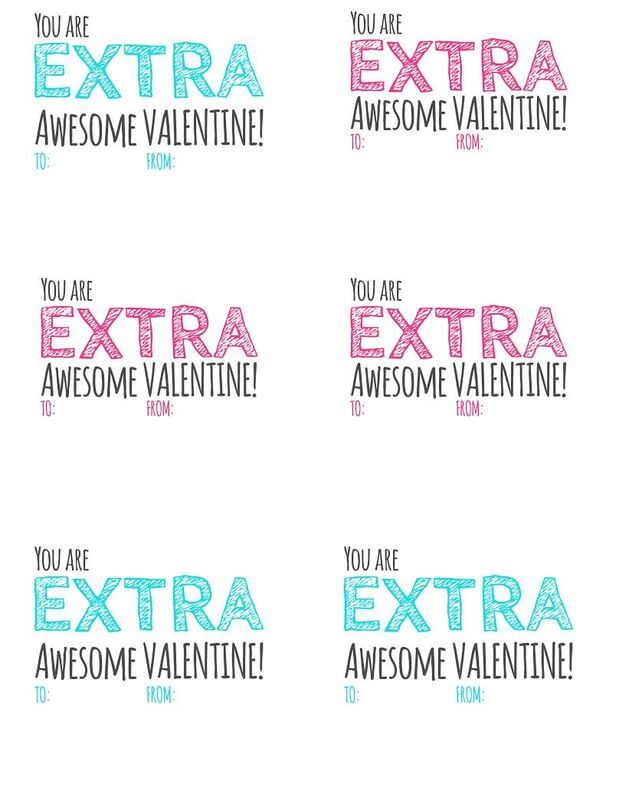 Thanks so much for the extra awesome valentine download! Especially awesome since telling someone they are “extra” is apparently really cool, according to my teenagers! Hi Carol- I just emailed you the file. Sorry you are having issues. What kind of paper did you print it on? Just on cardstock but you could use regular copy paper.